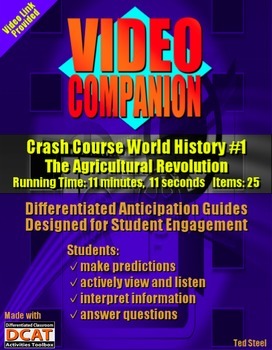 Video Companion is the new series from me, The Differentiated Instruction Guy. I have created anticipation guides to accompany popular educational videos that can be found on streaming sites such as YouTube. Each video companion comes with two versions of the anticipation guide, a green version on which the true or false items appear in order, and a yellow version with scrambled items. Anticipation guides greatly enhance student engagement because students make predictions, actively view and listen, interpret information, and answer questions. 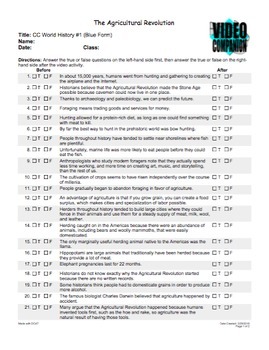 The guides can also be used to help facilitate classroom discussions. Check these out, and please leave feedback.